•Recent fund performance and the outlook for the remainder of the year and into 2015. Online participants will be able to submit questions to Leigh and Chris during the web conference. A sharpened focus on macroeconomic and geopolitical concerns has driven higher market volatility, as US investors weigh issues including interest rate rises, dollar strength, slowing in China and the unfolding Greek debt crisis. Our long/ short equity approach seeks to capitalise on the enhanced opportunities presented by these volatile conditions, while targeting positive absolute returns in both rising and falling markets. Participants will be able to submit questions to Neil, Ashish and Amit during the call. Back in 2013 we said that financial markets would face a long and at sometimes challenging road to normalisation. That has certainly proved to be the case as none of the major central banks have raised interest rates and the likes of Europe and Japan have had to follow the US by implementing their own QE programmes. Nonetheless, one of the most important themes in markets so far this year has been the rise in bond yields from very low levels as markets begin to think about the first US interest rate rise or what is sometimes called ‘lift off’ day. - What are the likely impacts of higher bond yields on equity markets? - At what point are core government bonds likely to become attractive again? - What are the prospects for financial markets over the remainder of this year and into 2016? Online participants will be able to submit questions at any time during the web conference. The US remains the engine of global economic growth and home to some of the world’s most innovative and dynamic companies. The strength of the US economy has meant that the US Federal Reserve is likely to be the first of the major developed world central banks to start normalising policy; by contrast, Europe and Japan are implementing QE to support growth. Perhaps unsurprisingly, the US dollar has performed very well in this environment. Online participants will be able to submit questions to the fund management team during the call. Government bond yields around the world remain very low, and the recent announcement of full-blown QE by the ECB suggests that the search for yield is likely to continue. In the US and UK, expectations were that interest rates would rise this year, although the global disinflationary trend means that there is no need for central banks to act quickly. In credit markets, the outsized excess returns that have characterised the past few years may now be over, but there are still plenty of opportunities to generate alpha. Nonetheless, it is vital that investors employ the largest possible toolkit when investing in bond markets, in order to maximise the likelihood of a favourable investment outcome. Online participants will be able to submit questions during the web conference. 2015 is likely to be an important year for UK equities. The forthcoming general election is one potential source of volatility, given the very different economic policies of the two leading parties. Investors will also have to get to grips with the recent fall in energy prices and what it means for the FTSE, given the UK market’s tilt towards resource-related areas such as oil & gas and mining. Balanced against this is the FTSE’s dividend yield, which remains very attractive in a global context, and the positive impact of lower energy prices on the industrial and consumer-related sectors. - Potential opportunities in an environment where stock market volatility is likely to pick up from low levels. - The importance of selecting companies that are focused on delivering positive total returns to shareholders in what is still a low-growth world. - Current positioning and the ability of our portfolios to perform irrespective of the broader moves in the FTSE. Online participants may submit questions to Chris and Richard at the registration stage or during the web conference. A year ago we thought that financial markets would face a long and at times challenging road to normalisation. That has certainly proved to be the case this year as volatility returned to equity markets in the latter part of 2014 amid fears that economic growth in 2015 could disappoint. Meanwhile core sovereign bond yields have remained low despite expectations that the withdrawal of quantitative easing in the US would send Treasury prices lower and yields higher. What is 2015 likely to have in store for investors? Online participants will be able to submit questions to Mark, David and Don during the web conference. Against expectations, core government yields have rallied this year, despite the widely-held view that the winding down of quantitative easing in the US would lead to higher yields and lower prices. In credit markets, spreads have narrowed over the past few years, supported by monetary policy conditions and a benign economic environment. In high yield, there have been some signs of indigestion recently. The outsized excess returns from credit markets over the past few years may now be over, but there are still plenty of opportunities to generate alpha. However, it’s critical that investors employ the largest possible toolkit when investing in bond markets, in order to maximise the likelihood of a favourable investment outcome. Online participants can submit questions at any time during the web conference. So far, 2014 has seen modest gains for developed equity markets while emerging debt and equity markets have stabilised after a challenging period at the beginning of the year. However, perhaps the big surprise of 2014 so far has been the resilience of core government bonds, as yields have trended lower despite the tapering of the US Federal Reserve’s bond-buying programme. More recently, deflation has been a concern in Europe, but the European Central Bank has responded by implementing unusual policy measures, including negative deposit rates. •How will bonds react to the normalisation of policy in the US? Are lower yields the new normal? •Will corporate profits drive equity markets higher? •How will emerging markets respond to the potential end of quantitative easing in the US later this year? Participants will also be able to submit questions at the registration stage or during the call. Join fund manager Stephen Thornber as he provides an update on Threadneedle’s global equity income strategy and the outlook for the remainder of the year. Clients participating via the web may submit questions to Stephen at any time during the conference. European high yield debt has performed strongly in recent years, aided by the demand for income, improved credit fundamentals and low levels of default. Additionally, the shorter duration characteristics of high yield have proved supportive in an environment where core government bond yields have risen (and are expected to continue to normalise). But what can investors expect in 2014? The Economic growth outlook in Europe is improving; peripheral economies such as Ireland are performing strongly, and even countries that have suffered very badly in the financial crisis, such a Spain, now appear to be on the road to recovery. In the core of the Eurozone, Germany continues to see reasonable rates of growth, albeit without the increase in real wages that would have to assuage deflation concerns. French macroeconomic data releases have been largely disappointing in 2014 so far, although the consensus still expects the economy to expand a little this year. - Is the core/periphery distinction still relevant? - What are the remaining risks for investors in Europe? Participants will be able to submit question at the registration stage or during the call. Aside from the notable exception of emerging markets, 2013 was a good year for most risk assets as central bank liquidity continued to support equity markets around the globe. Meanwhile, in bond markets, fears of a re-run of 1994’s bear market proved wide of the mark, aided in part by the Fed’s surprise decision not to taper QE in September. 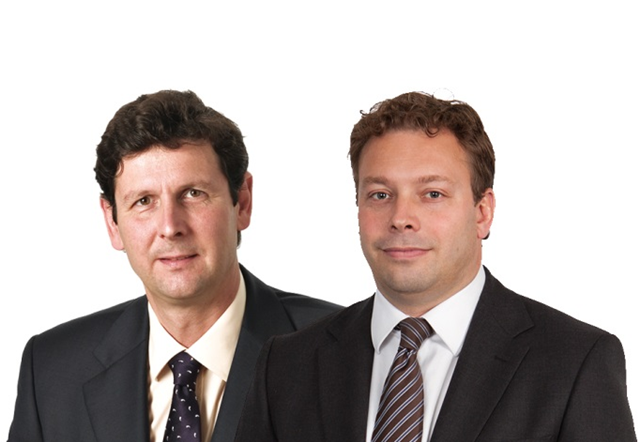 Threadneedle’s CIO Mark Burgess, Head of Fixed Income Jim Cielinski and Deputy Head of Equities William Davies assess the prospects for 2014 and outline the opportunities and challenges for active investors as markets face the long and uncertain road towards policy normalisation. Participants will also be able to submit questions during the call. September marked the three-year anniversary of the launch of the UK Absolute Alpha Fund. Over that period, UK equities have staged a decent rally, aided by the abundant liquidity provided by quantitative easing, the cleaning up of corporate balance sheets (which remain in better shape than those of many governments) and more recently the return of large-scale M&A (Vodafone/Verizon). But what do the next three years hold in store? And will we finally see large institutional investors move out of ‘return-less risk assets’ (such as core sovereigns) and back into equities, which offer yield and capital growth potential? Commodities have underperformed other risk assets in 2013 as they have faced a combination of concerns relating to slower Chinese economic growth, worries over excess supply in several markets, and fears that the eventual withdrawal of quantitative easing (QE) in the US could result in a stronger dollar. More recently, sentiment towards commodities has improved somewhat as Chinese economic sentiment indicators have rallied while the Federal Reserve surprised investors by not announcing some tapering of QE in September, putting downward pressure on the dollar. This summer marks the fifth anniversary of the collapse of Lehman Brothers and the beginning of the ensuing worldwide credit crunch which pushed the global financial system to breaking point. It is hard to imagine a more testing and unpredictable environment in which to deliver consistent outperformance, given all that has happened over the past five years, and yet that is exactly what David Dudding has delivered since he took over the management of the European Select Fund in July 2008. Equities have enjoyed strong performance since the beginning of 2013 but more recently the rally has lost momentum as investors have become concerned that the US Federal Reserve could start to taper its quantitative easing (QE) programme. Core sovereign bonds have also performed poorly in recent weeks, again reflecting worries that the Fed is getting ready to scale back its bond-buying programme. Nous vous invitons à participer à nos prochaines e-conférences. Les thèmes abordés varient et peuvent porter sur l'étude d'un fonds précis ou une analyse globale de la situation des marchés.